Meanwhile, Sgt. Andrew Urton of the Petaluma Police Department maintains that the suspect did indeed brandish a knife when a worker attempted to retrieve the stolen merchandise. The unfortunate incident has now raised safety concerns for the venue, which has suffered from a string of violent issues. 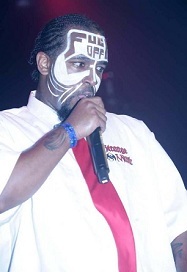 As local authorities continue to sort out the issue, Tech N9ne’s All 6’s And 7’s Tour rolls on through the rest of the country.